Come on, how can you not adore an author who says that when "I grow up, I want to be the sun"? You can't. 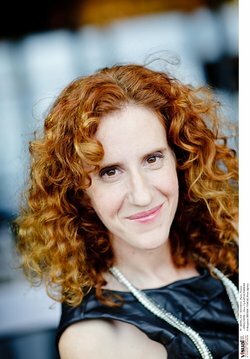 Gayle Forman is the author of 8 YA novels, including If I Stay, which was made into a socko movie. 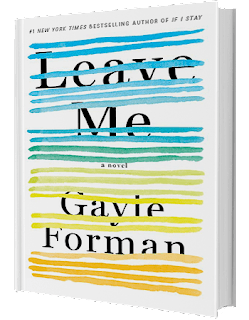 Her adult debut, Leave Me, is smart, witty, moving and multi-layered, about running away from things--and running to others. I'm delighted to host Gayle--and even more excited to be reading with her October 5th at the Clinton Book Shop in Clinton, NJ, at 7. Gayle, thank you, thank you so much. And can I borrow your fantastic hair? I always say a writer is haunted to write. Was anything haunting you when you started Leave Me? I started the book twice, so I suppose I was haunted twice. The first time, I was haunted by chest pains, and by fear. My mother had bypass surgery at 48, even though she had none of the risk factors (save crappy genetic luck) and when one week I started having terrible chest pains, I was convinced, this was it. It was my turn. I was freaked out by the prospect of that intense surgery, but more freaked out by the prospect of the recovery. I helped my mother recover from her surgery, but my own daughters were young (3 and 6 at the time) so I kept wondering who would take care of them if I needed surgery? And, really, who would take care of me? That was what was haunting me when I first started the book, almost as a revenge fantasy. Spoiler alert: It wasn’t my heart. Once I found that out, I put the book away for five years. I’m still not entirely sure why I pulled it back out again, this time with a new character (Maribeth) and family. 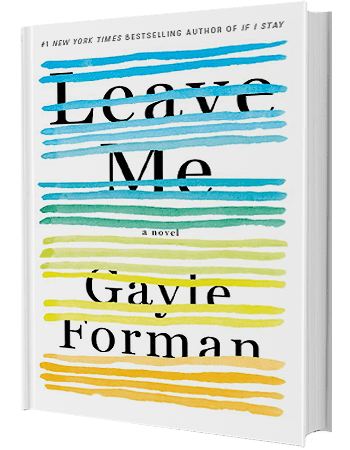 I was haunted by many things, or maybe furious about many things—gender inequity, the ongoing taboo of women putting themselves first, ever—but as I got deeper into the novel, I understood something else was going on. 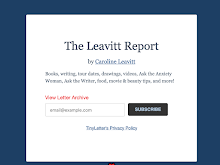 I was haunted, and Maribeth, too, by all the unsaid things that pile up in a relationship over time and how they lurk beneath the surface, masked, sometimes, by the more prosaic fights (who’s turn is it to do the dishes?) until something comes along to shake up the foundations. The idea of starting new, of reinvention is so powerful. Maribeth has a heart attack and takes off, hoping to be brand new in body and spirit, but things are much more complex than that. Care to comment? Maribeth doesn’t really know why she’s running away. She’s exhausted, physically, mentally, emotionally, not just from her health crisis but her life. She fears, as so many mothers do, what will happen to her young children if something happens to her. She leaves home in panic, not really understanding where she’s heading until she’s on the train, and not really understanding why she’s headed there until she has the space and strength and time to actually assess her life honestly. In some ways, not different at all—it’s the same process of excavating character, draft by draft. In other ways, very different. 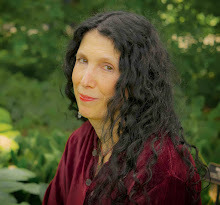 I was a 44-year-old mother of two when I wrote this book—in fact, I finished a draft on my 45th birthday—and Maribeth is a 44-year-old mother of two, so there are more obvious similarities between me and her than between me and my younger characters. That felt mildly terrifying, to expose myself like that, especially because I show Maribeth being bratty and immature and churlish and stubborn (all things I have a tendency to be now and then). I also decided to worry less about how readers will judge her. Teen readers can be very unforgiving if they don’t agree with characters’ choices. When you’re young, and maybe haven’t fucked up as often as you will when you’re older, it’s harder to sympathize with characters who aren’t outwardly noble or heroic. I am very curious to see if older women judge Maribeth harshly. I’m not sure. We are often on our own harshest critics. What kind of writer are you? Do you map things out or just wait for the muse? I don’t outline books. I love the surprise factor of not knowing where a character was going and then figuring it out. I have found that the more I know about a book going in, the harder it is. That said, I get terrible insomnia when I’m drafting, which turns out to be rather handy because I just lie in bed and think about where I want to take the story the next day. I also want to ask about the film of If I Stay. What was that experience like? What do you wish they would have done that they didn't in translating your book to the movies? Overall, I was quite happy with the adaptation. By the time the film went into production, it had gone through the usual Hollywood tribulations–this director attached, then not, this actress to star, then not. It had been greenlit and pulled back. And at certain points there was discussion of it going into a direction that seemed really, really wrong. But then director RJ Cutler came aboard, and Chloe Moretz and their visions lined up with my own. The project moved to MGM, and it was nothing like I expected. The thing I love most about the film is the music. The book is so much about music, how it animates and defines these characters, but there’s only so much you can do to describe music on the page. The film really soars when in its musical sequences, be it Mia’s Juilliard auditions (which makes me cry) or Adam’s live shows. If the film lost anything, it was more about Mia’s family. But I understood how the love story would become a focal point. I’m a Gemini. So on one hand, I’m obsessing about the Brexit and Donald Trump and Bernie or Busters and global warming and gun control and the complete dysfunction of our government and wondering if we are frogs in a pot that’s about to boil. On the other hand, I am obsessed with Beyonce’s Lemonade, which took the place of my Hamilton obsession. Oh, and also wallpaper. We just renovated our house and I could look at wallpaper all day long. You could ask if I ever fantasize about running away? The funny thing about this is that every mother I have spoken to about Leave Me has told me that she sometimes fantasized about running away. Without exception. They often confess this to me in hushed tones, as if this is so transgressive, when my experience shows, it’s pretty damn universal. I used to fantasize about running away. But these days, not so much. You know why? Because I do run away. In my family, we call it book tour. As you know, book tours can be grueling. They are not vacations. And yet, when they go well, I get to spend my days talking about interesting things, without being screamed at because someone can’t find her favorite shorts. I get to complete a task, without interruption. I get to wear nice clothes and have room service and take a break from cooking or cleaning or packing lunches for a few days. Last year I was in the UK for five days on a really insane tour (two cities a day for four days!) and at the end of it, someone said to me, “You must be missing your children so terribly.” I didn’t answer. I just smiled.